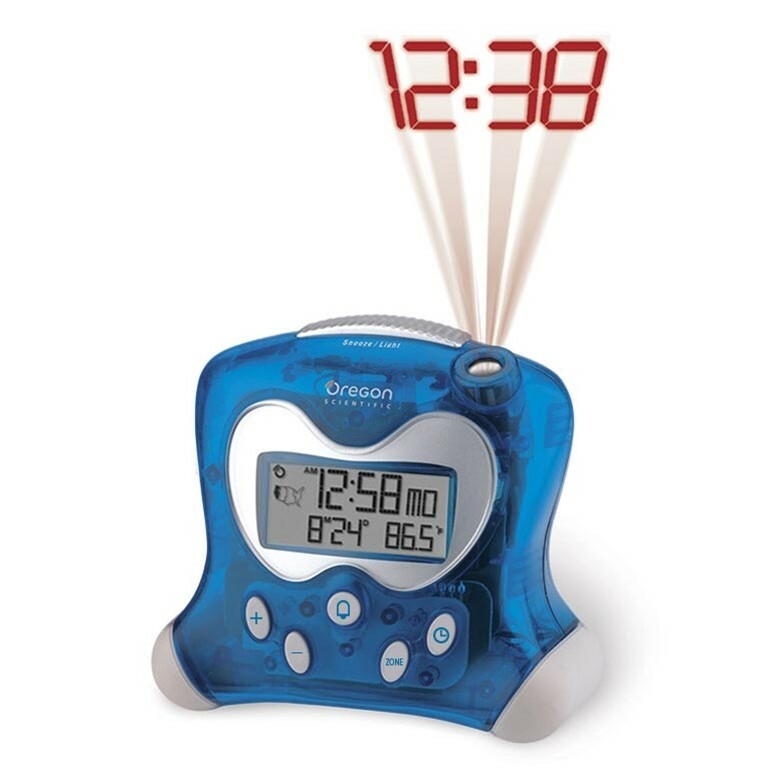 Oregon Scientific RM313PNA Blue Projection Atomic Alarm Clock with Indoor Temperature enables the time to be projected directly onto the ceiling so that you don't even have to roll over in order to see what time it is. The LCD screen show you the time and date, while the crescendo alarm comes with a snooze feature so that you don't fall asleep again. The chunky feel to this product makes it great for children too. For continuous projection simply power the clock using the included AC power adaptor. After a (fairly long) period of time, the projected time LED's dim, and eventually lose segments. The new replacement clock (second 'replacement' in about 15 years) I bought seemed to have an inverted projection. I couldn't find anywhere in the scant instructions of a way to change it ... until I looked at the support tab online and found it. Turns out it WAS in the instructions, but is was in the hardware description of the buttons (+ and -) instead of being explained as a FUNCTION separately. This has been a great clock and we have ordered many of these as gifts. To flip the projection (rotate 180 degrees) on the wall or ceiling, press the minus button.